Airship 27 Productions is thrilled to be releasing the second volume in this series of weird westerns by writer Fred Adams, Jr. Deep in the heart of the Caplock Mountains of Nevada a frightening new horror is preying on settlers and prospectors alike. When the entire crew of a mining outfit is found torn to pieces, the U.S. Cavalry is sent to investigate under the command of General Sherman; the famous Civil War tactician. He immediately recruits his former army scouts turned cowpunchers, Durken and McFee, to help ferret out this new threat to frontier settlements. Soon the two cantankerous saddle-mates find themselves caught up between government agents and frightened Indian tribes who warn of an ancient evil returned to plague the white invaders; warriors capable of transforming themselves into beast! 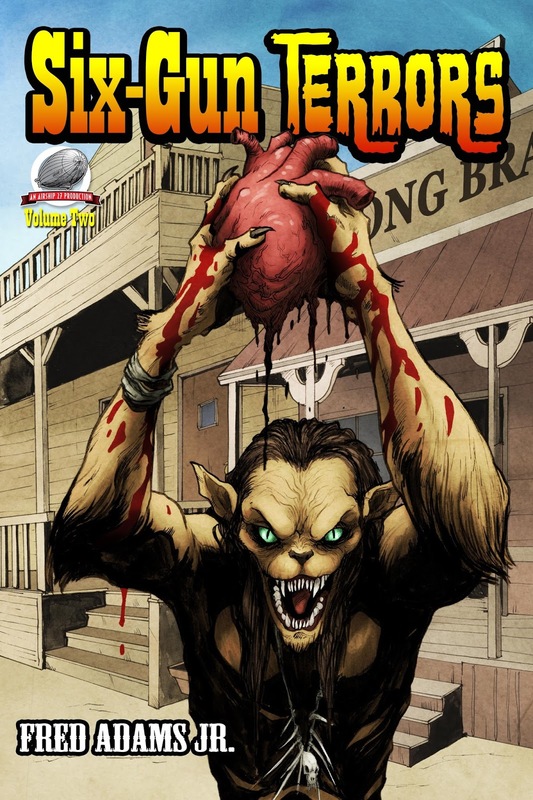 “At a recent comic convention, this title was our best seller,” reports Airship 27 Productions’ Managing Editor Ron Fortier. 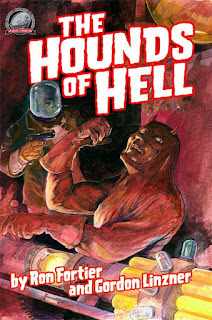 “People were immediately taken with artist Zachary Brunner’s gorgeous cover and we’re thrilled to announce he’s back handling all the art in this terrific sequel; both cover and interior illustrations.” Readers of the first book in the series may notice a peculiar familiarity in the artist’s background on the cover. They are in fact a continuation of those seen in the first cover. “This was a deliberate decision,” says Fortier. “And we can’t wait until readers put both books together side by side.” Award winning Art Director, Rob Davis adjusted the old logo to make this visual sequencing possible. Once again Fred Adams Jr. delivers a gripping weird western that combines the best elements of both genres to deliver a non-stop action-adventure that will have pulp fans whipping through the pages. Six-Terrors Vol II is a book you won’t want to put down. Now available from Amazon and soon on Kindle. RAVENWOOD – STEPSON OF MYSTERY NOVEL! 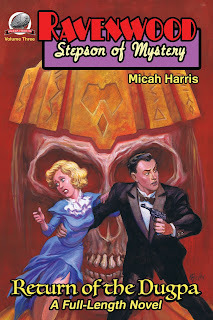 Airship 27 Productions, one of the leading publishers of New Pulp fiction, is thrilled to present the first ever full length novel based on the classic pulp occult detective series, Ravenwood – Stepson of Mystery by writer Micah Harris. One of the most famous unsolved murder mysteries was the shooting death of well known actor-director, William Desmond Taylor in Hollywood circa 1922. Nine years later, while investigating an alleged curse on German composer Wilhem Richard Wagner’s lost opera, occult detective Ravenwood uncovers a connection between the missing score and the death of the flamboyant Taylor. He is hired to find it. Upon arriving in Hollywood he discovers others connected to the lost opera have also perished under mysterious circumstances. 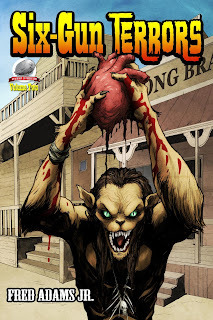 It is an arcane trail of death that leads back in time to the ancient plateaus of Lost Hyperborea and an immortal entity seeking the ultimate power to rule mankind. As the first sound movie version of Wagner’s opera goes into production, the Stepson of Mystery races to solve Taylor’s murder before more blood is shed and the City of Dreams becomes a Nightmare Wasteland. 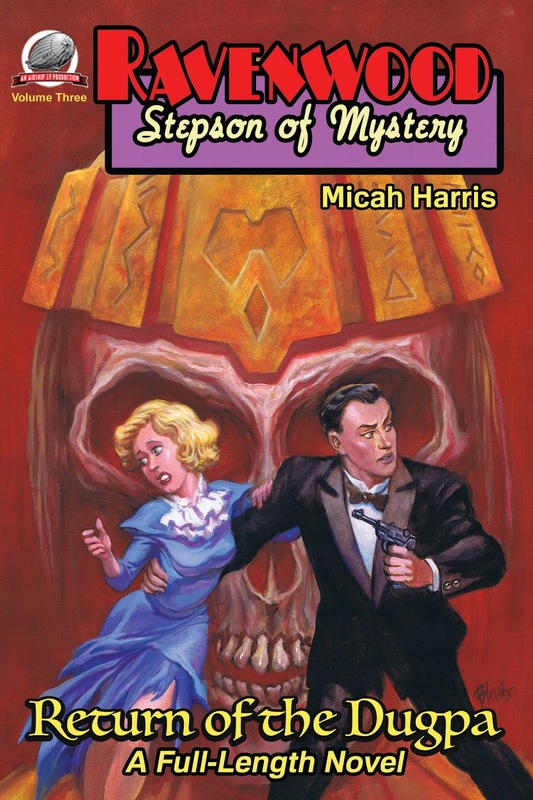 From the Golden Age of Hollywood to the magnificent seven ascending plateaus of Lost Hyperborea, writer Micah Harris delivers the first ever Ravenwood – Stepson of Mystery full length novel in RETURN OF THE DUGPA. AIRSHIP 27 PRODUCTIONS – PULP FICTON FOR A NEW GENERTION! Available at Amazon.com and soon on Kindle. 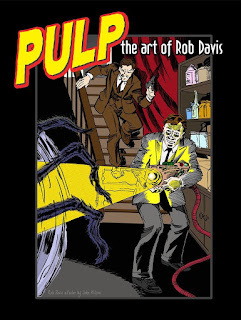 “PULP – The Art of Rob Davis,” is the first published collection of Davis’ remarkable work and contains 175 black and white pieces; all of which have appeared in the pages of various Airship 27 Productions books. Adds Fortier, “We’ve no doubt this book will soon become a collector’s item to any true pulp fan who appreciates the role of art in the history of pulp fiction.” The book features an Introduction by award-winning British writer I.A. Watson and Fortier provides a post-essay to round the volume. Now available at Amazon in hardcopy and soon on Kindle.